UF PRO Striker XT Gen. 2 Combat Pants (PenCott GreenZone). 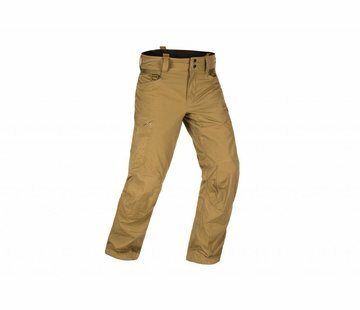 Awesome ergonomics, reliable and extremely comfortable knee protection and a functional pocket configuration make the Striker XT the ultimate combat pant for any environment. 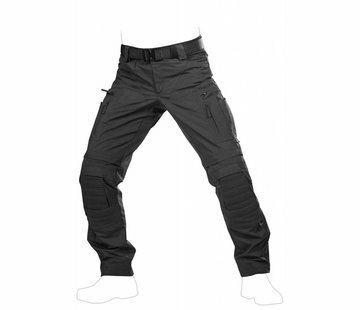 That's why we constructed a combat pant that not only offers you all the necessary tactical elements, like reliable knee protection and a functional pocket configuration but most importantly allows you unhindered movement and is extremely comfortable to wear, even after an extended period of time. To achieve this, we combined the Schoeller®-dynamic stretch material, the CORDURA® abrasion resistant material and Poly/Cotton (or NyCo for the camouflage versions) ripstop material into specific body parts for the very best overall performance. The Striker XT combat pants knee pads protection system* offers you reliable protection against impacts or sharp objects and most importantly, it's extremely comfortable to wear. Due to the anatomic cut, you don't need to strap anything around your knee to fix them into the right position. Simply insert the pads into the knee pockets and you are good to go. The combat pants knee pads have a flexible structure and thus ergonomically form to the shape of your knee. So after a while, you’ll forget you are even wearing them- the only time you’ll notice them is when you actually need them. You can also wear them for deployments in sub-zero degrees. The inner zipper allows you to attach a 'windstopper liner' inside the pants, which gives you comfortable wind and thermal protection.